Access for disabled people on the High Street in Britain is “shocking”, according to a government audit of more than 30,000 shops and restaurants. 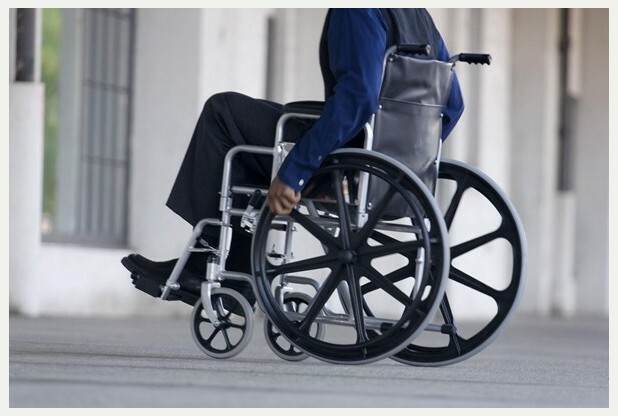 Thousands of venues had failed to adapt their premises, with a fifth of shops excluding wheelchair users, a survey found. Businesses are “missing a trick” and must do better, ministers said. Accessibility information providers DisabledGo visited all of the 30,000 venues in person to assess them, in the largest-ever audit of its kind in the UK. “Everyone deserves to be able to go Christmas shopping or enjoy a festive meal or drink with their friends or colleagues,” said Minister for Disabled People Mark Harper, who commissioned the survey. “This isn’t just about doing what’s right. Businesses are missing a trick by not doing more to tap into this market. Shadow minister for disabled people Kate Green said the report made for “depressing” reading. “While businesses work hard to ensure their premises are accessible, some high street names are failing to make the reasonable adjustments they’re required to do by law,” she said. “While it’s welcome the Department for Work and Pensions have commissioned this report, this Tory-led government has weakened the Equality and Human Rights Commission that helps enforce disability discrimination law. “Disabled people are not asking the earth; just that management do what’s reasonable and think more about how they can help disabled customers better. “And that includes better communication about their accessibility online. What are your experiences in using High Street shops? Let us know in the comments and post your reviews at My Way Access.